Steve has headlined in highly successful, extended engagements at the Rio Suites Hotel and Casino in Las Vegas and Resorts Hotel and Casino in Atlantic City, where standing room only audiences lined up more than two hours before show time to vie for seating. 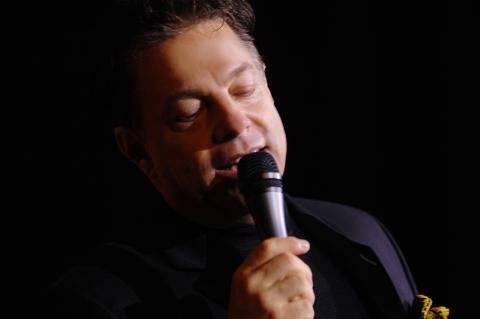 He has performed in multiple engagements for Hilton Atlantic City and Casino Windsor, among others. Steve has performed to sold-out symphony audiences across North America, including: Akron, Alabama, Albany, Allentown, Amarillo, Anchorage, Austin, Bangor, Bartlesville, Battle Creek, Boston Pops, Boston Philharmonic, Boulder Philharmonic, Bowling Green, Brampton-Ontario, Buffalo, Calgary, Cape Cod, Charlotte, Chattanooga, Cleveland Pops, Colorado Springs, Columbus Indiana, Corpus Christi, Dallas, Danville, Dayton, Duluth-Superior, Edmonton, Elgin, Erie, Evansville, Fort Smith, Fort Wayne, Fort Worth, Fresno, Grand Rapids, Great Falls, Greensboro, Greenville, Harrisburg, Hartford, Helena, Hershey, Hilton Head, Huntsville, Indianapolis, Irving, Jacksonville, Kansas City, Kingston (Canada), Knoxville, Lafayette, Las Cruces, Lexington, Lima (OH), Louisiana, Louisville, Midland (Michigan), Mississippi, Missouri, Music in the Mountains, Napa, Naples, New Haven, New Jersey, North Arkansas, North Carolina, North Charleston Pops, Ocean City Pops, Omaha, Orchestra Kentucky, Oregon, Palm Beach Pops, Peter Nero and The Philly Pops, Phoenix, Portland (ME), Quad City, Richmond, Rochester, Rockford, St. Louis, San Angelo, San Antonio, Saskatoon, Shreveport, Signature-Tulsa, Sioux City, South Arkansas, South Dakota, Southwest Michigan, Springfield, Stockton, Symphony Silicon Valley, Tacoma, Tallahassee, Toledo, Toronto, Tucson, Utah, Vancouver, Virginia, West Michigan, Williamsburg, Winnipeg, Winston-Salem, Yakima and York (Canada). Signed contracts with symphonies for the 2015–2016 seasons include Annapolis, Asheville, Charlotte, Detroit Symphony, Grand Junction Symphony, Kenosha, Buffalo Philharmonic, Cleveland Pops, Binghamton Philharmonic, Symphony Orchestra Augusta, Brazosport, Colorado Springs Philharmonic, Springfield, Southern New Jersey, Indianapolis Symphony and Richmond, to name a few. Steve has headlined to standing room only crowds at the legendary Birdland Jazz Club in New York City, backed by the Nelson Riddle and Woody Herman Orchestras. He performed in a highly successful European Jazz Festival Tour which resulted in a nationally televised special on Finnish TV2. Steve’s TV appearances include “Extra”, Fox’s “Good Day New York”, CNN’s “Showbiz Today”, ABC and the BBC. Steve’s much acclaimed, self-titled CD was recorded at Warner Brothers’ Studios in Los Angeles with a 41-piece symphony. In addition, Steve has recorded “Steve Lippia Live”, a collection of some of his live performances. His much anticipated third CD, titled “Steve Lippia in Concert”, was released June 16, 2009 to rave reviews and a Grammy nomination. Steve is a native of Southington, Connecticut. He makes his home in Las Vegas, Nevada with his wife and two miniature German Schnauzers.